If you suffer from allergies, you’ll know very well that spring, summer, and autumn are the most hazardous seasons for reactions. 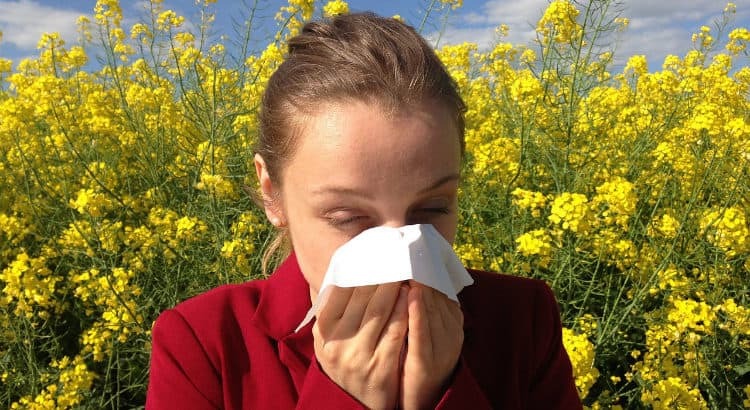 During this time period, airborne pollen can trigger hay fever and its distressing symptoms such as itchy, red eyes, sneezing, and running nose. In addition to the risk of hay fever, you may also be sensitive to indoor allergens (e.g., dust and mould), which can be present all year round. As you may be aware, wearing contact lenses can be difficult when experiencing allergy symptoms. However, there are several steps you can take to help with this problem. Here are our top three tips to help you during this difficult time. One of the best ways to keep your eyes free from allergens is to use an eye wash before and after wearing contact lenses. By doing this, you’ll be able to dilute any allergic debris, mucous or inflammatory proteins in the tears. This will help prevent allergens from ending up in your contact lenses. While most commercially-available eye washes are suitable, the ideal product would be preservative-free tears. Daily disposable contact lenses are the healthiest choice for your eyes if you suffer from allergies. This is because you’ll be putting in a fresh, allergen-free pair of lenses every day. There’s no chance for significant allergen build-up to occur (unlike if you’re wearing weekly or monthly lenses). Not only will daily disposable lenses help with allergy symptoms such as itchy and red eyes, but they’ll also give you the added benefit of disposing without any care solution. In other words, they are a convenient and safe alternative to other types of contact lenses. Now, this third tip is one you’re unlikely to have heard of before in relation to eye health. Nevertheless, as you’ll discover, showering before going to bed does offer significant benefits to your eyes (if you’re an allergy sufferer). The idea is really quite simple. Throughout the day, all kinds of allergens are deposited onto our clothes, hair and skin. If you fail to shower before going to bed, then it’s likely that these allergens will be transferred to your pillows. Once this has happened, your face, nose and eyes will be repeatedly exposed to the allergens throughout the night. As well as showering before bedtime, it’s also recommended that you change your pillow cases every night during the peak allergy season. Allergies can leave you feeling miserable and depressed. Hopefully, though, by following the above tips, you can alleviate some of the associated eye symptoms. By helping your eyes, you’ll be helping yourself to enjoy your life more – regardless of season. The showering before bed in order to improve my eye health was definitely new information for me.